Home interiors gets me excited but I must say I have become a little fed up of seeing the same typical vases, candle holders and ornaments that you can guarantee will also be sitting very nicely on your friends sideboard. We have become conditioned to all want the same thing because we have seen it a million times. I don’t like ‘twee’, the odd piece can work if the rest of your room isn’t twee but I’m pretty much done with that. So, I have been keeping an eye out for a few pieces that I want for my home that will stand out, not necessarily because it is loud and bold but because it is different and it receives the attention it deserves. I think I’m becoming a bit of a snob with my home interiors and I’m not necessarily saying that it has to be expensive, just unique and to my liking. I like discovering new brands and finding out about them so that when my guests ask me about them I can go into a spiel about where I got it and who the brand is (I told you I was becoming a snob). But you know what, I don’t care if I sound pretentious, I’m not twenty anymore, or even thirty, so I believe I deserve the right to come across like I know what I am talking about. Ok, I’m getting a little carried away here, I’m not reviewing the latest fine art piece that hangs on my wall, it’s just a vase. But just remember, your home belongs to you so it should reflect your personality and as soon as you place an object in your home it becomes part of you and people who come into your home will marry the two up. In a weird way, I sometimes like it when someone else doesn’t like something in my home (they don’t normally say so, you just read their expression) because it means that I have achieved individualism which is a good thing. Which brings me to a beautiful brand that I recently came across; Vitra, a Swiss family-owned furniture company, who trusts their designers and treats them with respect, allowing for artistic freedom, designers including Charles & Ray Eames and George Nelson. It is not a new brand, they were founded in the 1950s, by Willi Fehlbaum, having discovered chairs designed by Charles and Ray Eames on a trip to the USA and decided to become a furniture manufacturer. I discovered the brand at END. Designed by Ronan and Erwan Bouroullec for Vitra in 2002, this Swiss brands Nuage vase boasts a design aesthetic that is reminiscent of cloud formations. Here, upright cavities divide the vase into eight individual tubes that allow for the artful arrangement of flowers and grasses. Producing an attractive interplay of light and shadow, these vases can be fitted together to create entire 'cloud formations' thanks to their precise outer contours. Named after the legendary duo who designed it, Vitra’s ‘Eames House Bird’ is a design object like no other. Inspired by Charles and Ray Eames’ extensive travels, this ornate black wooden bird is a replica of one of their most prized objects of American folk art. George Nelson’s table clocks that he designed for Swiss brand Vitra offer a refreshing alternative to conventional timepieces. Originally designed in 1947 and typical of mid-century design, this brass ‘Tripod’ clock is equipped with a high-quality quartz movement. The aesthetic charm of this decorative timepiece is equalled by its accuracy and precision. 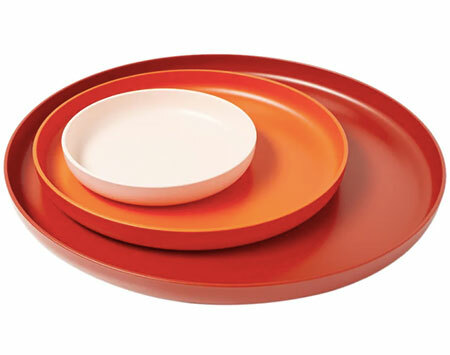 Developed in accordance with Jasper Morrison’s 'super normal' design philosophy, Vitra’s trio of trays show off a carefully curated palette of harmonised red hues. Crafted from textured ABS plastic, these three trays can be readily combined and are suitable for use all around the home. 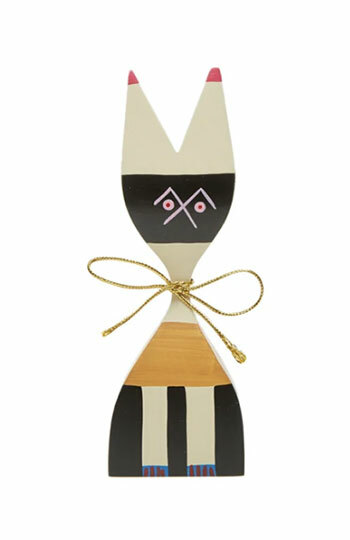 A feline figurine that’s inspired by Alexander Girard’s whimsical wooden creations, Vitra deliver this hand painted fir wood piece with a charming bow tied around its neck. Sure to make a joyful and endearing addition to any space, each ‘Wooden Doll No. 9’ is unique and offers an ode to Girard’s extensive personal collection of folk art. Designed in 2016 for Swiss brand Vitra, Michel Charlot’s ‘Happy Bin’ introduces an unusual, organic-shaped design into usually austere office environments. Inspired by a Hans Arp sculpture, this playful plastic waste paper bin boasts both form and function in equal measure. 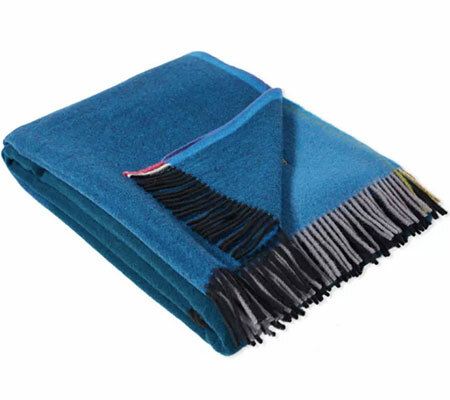 Hella Jongerius’ colour block blanket for Vitra is made from Peruvian highland wool produced from a hybrid breed of sheep – a cross between a Merino, whose wool is extremely soft, and a Corriedale, which is known for its sturdy fibres. Here, four contrasting colour blocks of varying intensities attractively interact to form a decorative overall pattern and fringed tassels complete this colourful and warming home accessory.